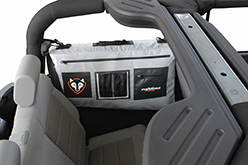 Weatherproof storage for your Jeep Wrangler’s unused space! 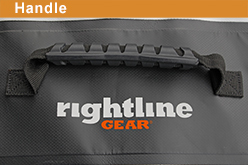 The Rightline Gear Jeep Storage Bags hold recovery gear, clothing, towels, first aid kits, roadside equipment, snacks etc. 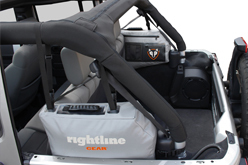 The bags are angled to perfectly fit the unused spaces of the Jeep Wrangler and strap into place with quick release buckles. 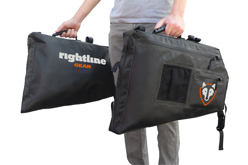 Use the Jeep Storage Bags for off-roading, road trips, every day storage, etc. 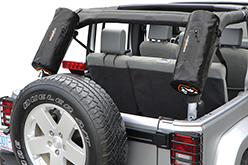 The bags attach with your hard top on or off and your soft top up or down. 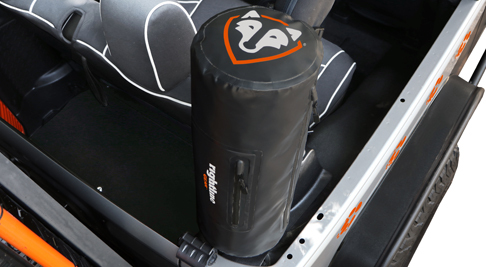 Double-check our Jeep Products Guide to make sure each Storage Bag fits your Jeep. 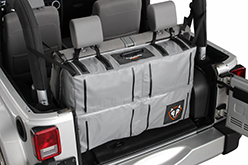 The Jeep Storage Bags are constructed from tough PVC Coated Mesh that is re-enforced for strength and UV protected. 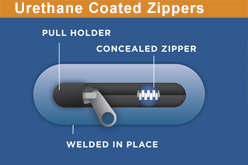 The bags are weatherproof with welded seams and urethane coated zippers. 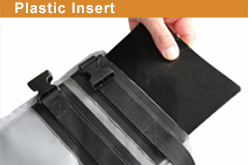 Hard plastic inserts provide shape and structure. 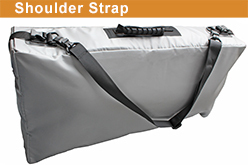 Use the Jeep Storage Bags’ Grab-N-Go handles and shoulder straps to carry the bags outside of your Jeep. 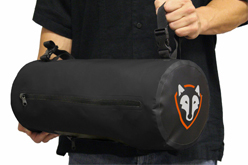 The bag features a main compartment and a zippered pocket. 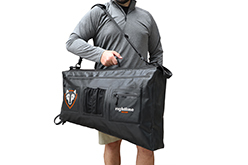 The bag is angled to perfectly fit behind the Wrangler’s rear seat and features (4) zippered compartments, (2) hard plastic shelves, an inner mesh pouch, and a carry handle. 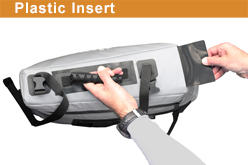 A hard plastic insert in the top of the bag provides shape and structure. 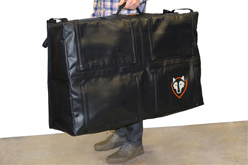 The bags are angled to perfectly fit over the rear wheel wells and feature a main compartment, a zippered pocket, a mesh pocket, and a carry handle. 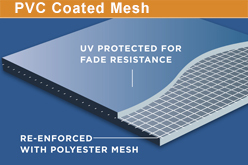 A hard plastic insert in the top of the bags provides shape and structure.